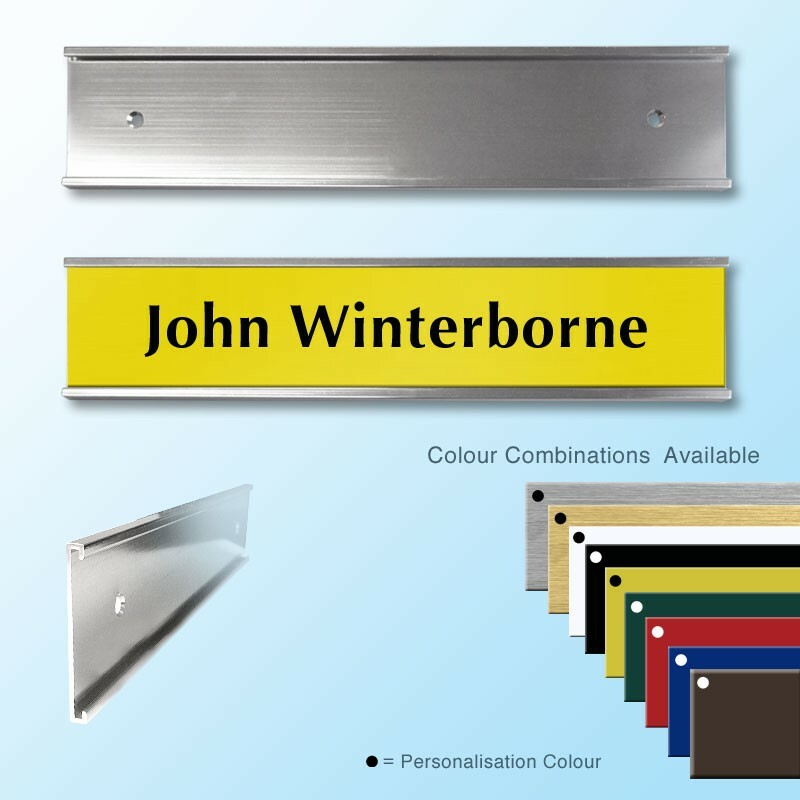 Personalised door nameplate and aluminium holder, available in a range of colours and finishes. Polished aluminium door nameplate holder supplied with personalised nameplate. 254 x 51mm Nameplate in holder - personalised professionally for you; using the most up to date equipment. 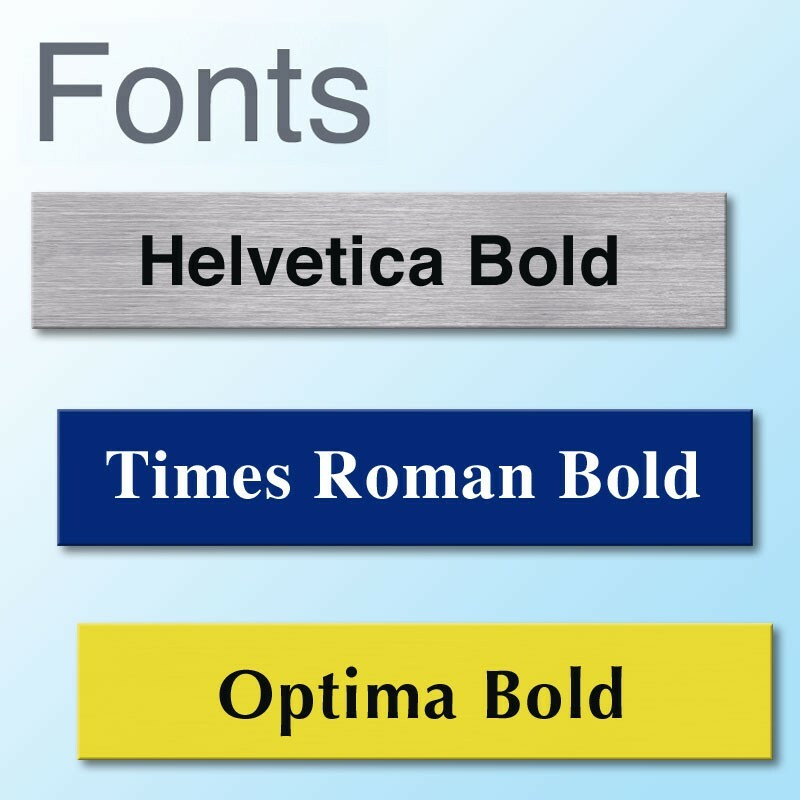 This nameplate holds up to 24 characters of text on a single line.